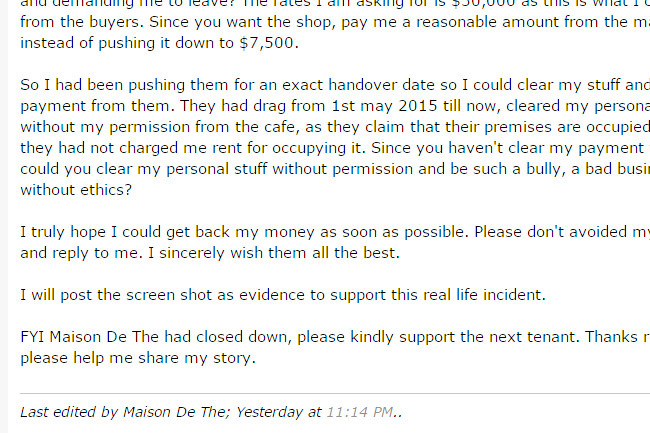 [Updated May 2015] Maison De The announced its (unverified) closure on, well, hardwarezone with the subject title Worst business cooperation with LES PATI*SERIE from tpy . 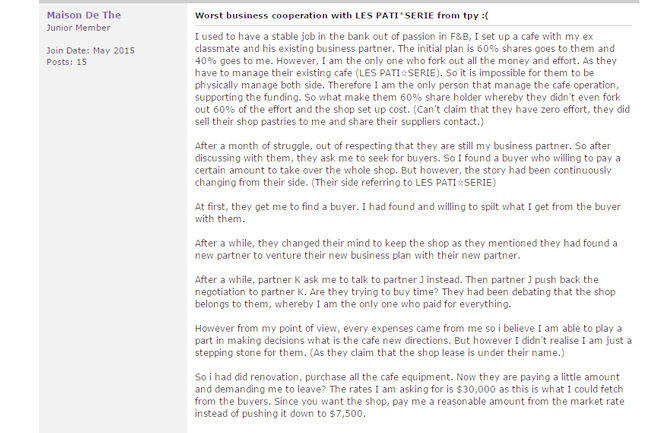 In retrospect, this entry’s original title “Les Patisserie’s Partner Café Could Do With Some Help” seems to be quite appropriate. 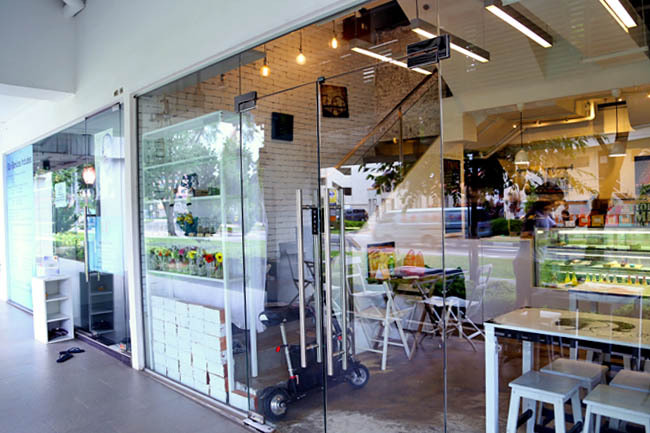 The café closed after just one month in operation, claiming that its partner(s) is a “bad business man without ethics”. While we are waiting for both sides to verify their stories, this acts as a reminder that an F&B business is not all a bed of roses. We wish both sides all the best. [Original Entry] Bakery Café Les Patisseries has a sibling, but the treatment apparently is quite different. 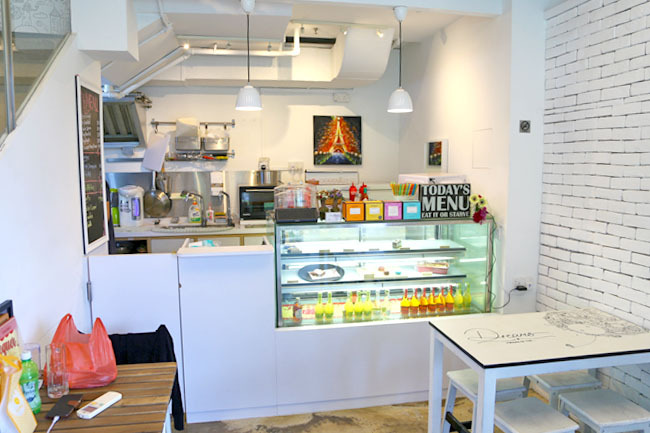 Like abandoned step-siblings, a facebook page and instagram accounts were set up and not updated for a month, considering this is still a VERY NEW café. Noticing the bakes looked somewhat dry, in my exact words to my friend, “So many cakes here look dead,” especially the Dulcey Hazelnut Tart ($7.00) with a sad-looking pale brown colour. The person behind the counter was startled of course. Me: The cakes don’t look fresh. Café person: They are quite fresh! Me: Quite? What do you mean by ‘quite’? Café person: They just arrived 2 days ago. I was quite amused because he did mean it as a manner of fact. At least he was frank. To be honest, while our 2-day (it should be 3-day old because it arrived 2 days ago) desserts appearance lacklustre, both the Tiramisu ($7.00) and Raspberry Tart ($7.00) could potentially taste good. While the Tiramisu lacked that distinct coffee kick, the mascarpone cream was smooth and not overly sweet. 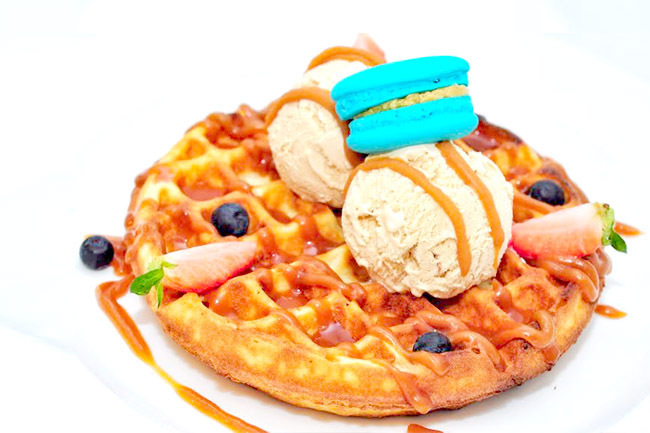 Their Waffles ($9.90) with salted caramel ice cream and macaron scored aesthetically, but its texture was dense and cakey like a waffle cookie. 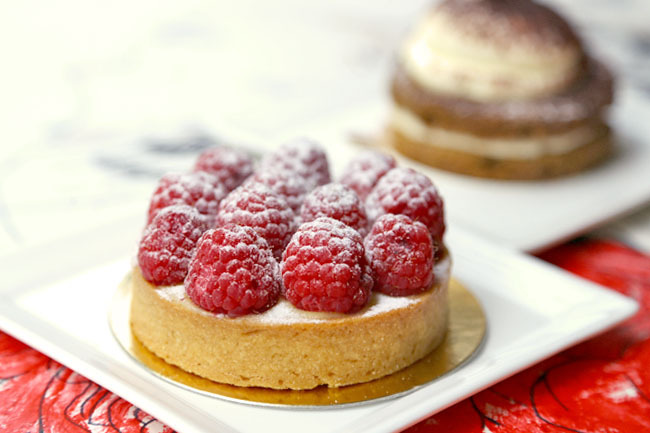 All I want to say is, Les Patisseries – I like you, so take good care of your sibling. And don’t throw money into the drain like that. 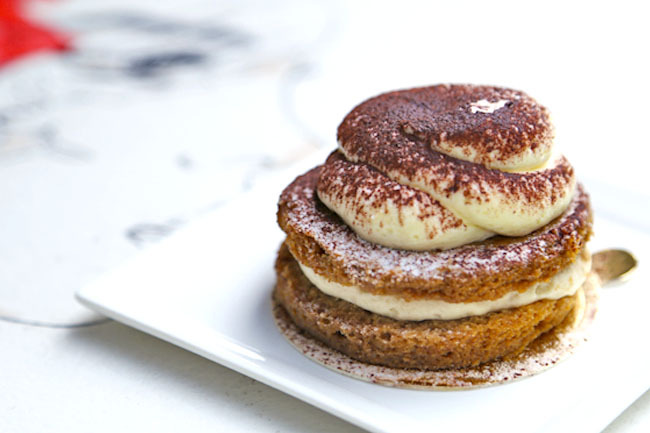 The tiramisu is so tempting! They should freeze it and thaw them on a daily basis. It will preserve moisture. Actually, i’ve went there before their closure and i was actually really disappointed by this cafe. it’s probably the worst experience of a cafe that i’ve went to. i heard that the cafe was affiliated to LP so i decided to try it. but the salted caramel waffles that i’ve ordered was REALLY REALLY disappointing. it was too sweet and i had gotten quite sick of the taste by half the waffle. i went there with my friend to catch up a little but the cafe person was like suddenly talking to us while she was putting on make up :O talking is okay but as she was talking, the language she used wasn’t really that pleasant as some vulgarities were used. i feel like although i am still young but i feel that vulgarities was unacceptable. So actually i think that their closure may not be due to the lack of involvement on the LP’s side.